While ISR doesn’t “waterproof” your little one, it certainly gives them an added layer of protection against a parent’s worst nightmare. The goal of the ISR Self-Rescue® program for children under the age of twelve months is to teach the little ones how to roll over to their backs, breathe, and maintain a float until help arrives. 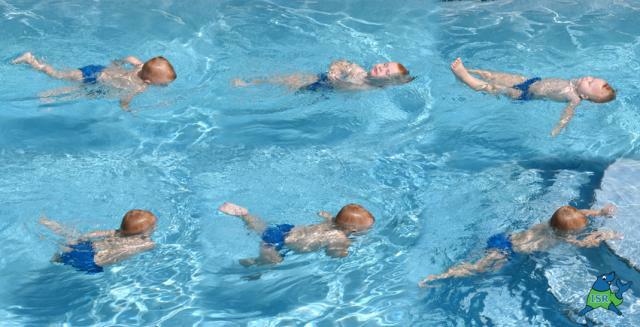 For older children ages 1 through adult, the ISR program teaches a swim-float-swim sequence. 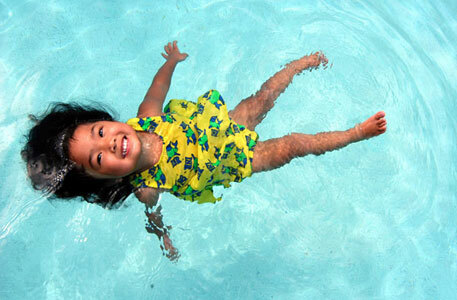 Toddlers through adults are taught to swim when they hit the water, then float for air, then to turn to swim again. They learn to repeat the sequence until they reach a part of the pool from which they can pull themselves out of the water. ​What Your Child Will Learn In ISR Lessons? Students come to lessons 5 days a week, Monday – Friday. Each lesson will be no more than 10 minutes long with just one child in the water at a time. Lessons are individually tailored to meet your child’s developmental and physical abilities as well as meeting their emotional needs. Much is accomplished in a short but very intense private lesson. Your child will have the same 10-minute time slot each day. You can expect your child to complete his or her initial course within 6-8 weeks. How do I find additional information? Email teamspindlebeak@gmail.com to schedule a phone call in order to discuss your questions and/or concerns! WHAT DO ISR LESSONS COST?